Insider Monkey is the premier site for monitoring the activity of hedge fund managers because they have sought the edge through extensive research on public companies and by seeking experts to guide them through the market. Rather than trading against the smartest investors, we believe that by imitating them we are more likely to beat the market. Based on the transactions of nearly 350 hedge funds compiled by Insider Monkey, here are the top 43 natural gas distribution stocks held by hedge funds. 1. 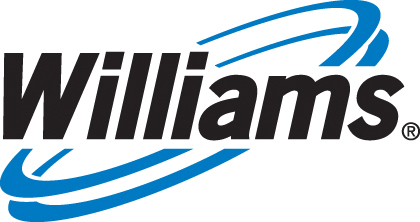 Williams Companies, Inc. (WMB): Williams Companies, Inc. is focused on the exploration and production of natural gas throughout the United States. Williams Companies bucked the current year’s downslide by increasing 7%, while S&P 500 Index declined 7% over the same period. The company was held by 51 portfolios in the second quarter – more than any other natural gas company. Michael Lowenstein’s Kensico Capital shed 4% last quarter, dropping them to 10 million shares. 2. Southern Union Company (SUG): Southern Union Company gathers, process, transports, stores and distributes natural gas in the United States. Southern Union rose by 75% year to date, while S&P 500 ETF (SPY) shed value. Last quarter, the company was held by 40 portfolios. Mason Capital Management, managed by Kenneth Mario Garschina, took a new position in the second quarter by acquiring 5.3 million shares. 3. El Paso Corporation (EP): El Paso Corporation is a company focused on the transmission, exploration, and production of natural gas. El Paso increased by 35% in the current year, while S&P 500 decreased over the same period. Thirty-eight portfolios held this company in the second quarter. Barry Rosenstein’s Jana Partners cut their position by 20% last quarter, bringing them to 24.2 million shares. 4. Atlas Energy, L.P. (ATLS): Atlas Energy, L.P. – in conjunction with its partner, Atlas Pipeline Partners – provides natural gas gathering, processing and treating services. Atlas Energy rose by 34% year to date despite SPY’s drop. The company was held by 13 portfolios last quarter. Omega Advisors, managed by Leon Cooperman, increased their position by 1% in the second quarter, which gave them 13.8 million shares. 5. Enterprise Products Partners, L.P., (EPD): Enterprise Products Partners L.P. is a provider of natural gas and petroleum products and acquired Duncan Energy Partners (DEP) on Sept. 7. Enterprise Products Partners increased by 2% in the current year, while S&P 500 declined in value. Eleven portfolios held this company in the second quarter. John Osterweis’ fund – Osterweis Capital Management – decreased their position by 1% last quarter, bringing them to 1.6 million shares. 6. UGI Corporation (UGI): UGI Corporation is a holding company that distributes and markets energy products through its subsidiary companies. UGI dropped by 8% year to date, slightly more than SPY, which lost 7%. Last quarter, 11 portfolios held the company. Adage Capital Management, managed by Phil Gross and Robert Atchinson, increased their position drastically by 500% in the second quarter, giving them 600,000 shares. 7. Kinder Morgan Energy Partners, L.P. (KMP): Kinder Morgan Energy Partners provides pipeline transportation and energy storage. Kinder Morgan increased by 1% in the current year, while S&P 500 dropped over the same period. The company was held by 8 portfolios in the second quarter. Michael Messner’s Seminole Capital did not change their position last quarter, remaining at about 306,000 shares. 8. Sempra Energy (SRE): Sempra Energy, a holding company, and its subsidiary companies are engaged in the production, transportation, and storage of petroleum products. Sempra Energy decreased by 2% year to date, less than SPY. Last quarter, 8 portfolios held this company. Levin Capital Strategies, managed by John A. Levin, decreased their position by 10% in the second quarter, dropping them to 372,000 shares. 9. Plains All American Pipeline, L.P. (PAA): Plains All American Pipeline is a company focused on the transportation, storage, and marketing of petroleum products. In the current year, Plains All American slid by 1% while S&P 500 lost 7%. The company was held by 8 portfolios in the second quarter. Dmitry Balyasny’s fund – Balyasny Asset Management – increased their position by 12% last quarter, which gave them 617,000 shares. 10. Energy Transfer Partners (ETP): Energy Transfer Partners is a United States-based natural gas company. Energy Transfer dropped by 13% year to date, nearly twice the decrease of S&P 500 over the same period. Seven portfolios held this company last quarter. Jim Simons’ Renaissance Technologies shed 55% in the second quarter, bringing them to 139,000 shares. Natural gas distribution stocks bucked S&P 500’s slide of nearly 7% year to date, by increasing 4% as a group.